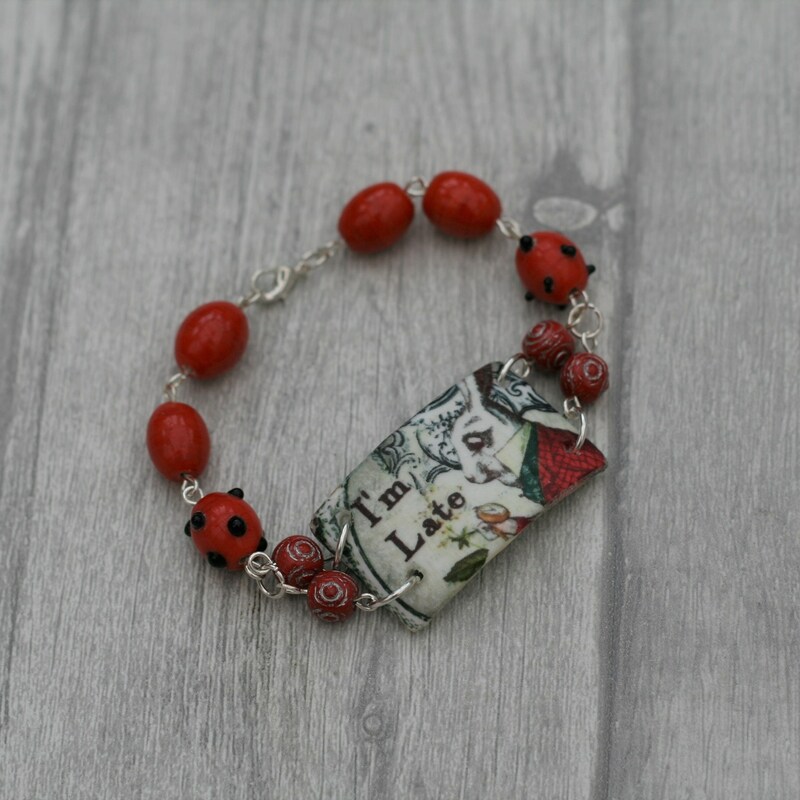 Beautiful Alice in Wonderland Bracelet. This beautiful bracelet has been made by taking a handmade artisan white rabbit pendant and attaching it to approx 7” (19cm) beaded bracelet, completed with a silver plated clasp. • This bracelet is very lightweight to wear and would suit any Alice in Wonderland loving individual.